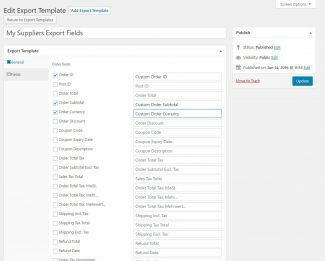 I have a custom field for cost price for every product (the price I paid for the product). 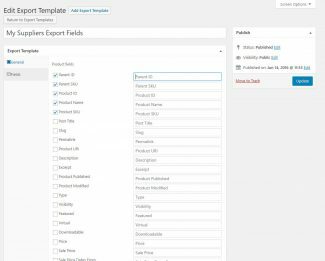 When I export products with attributes, I would like to have the value from the custom field shown on every variations as well as the main product. 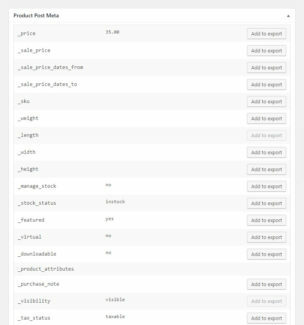 In the export from the free version it only gave me the value on the main product. 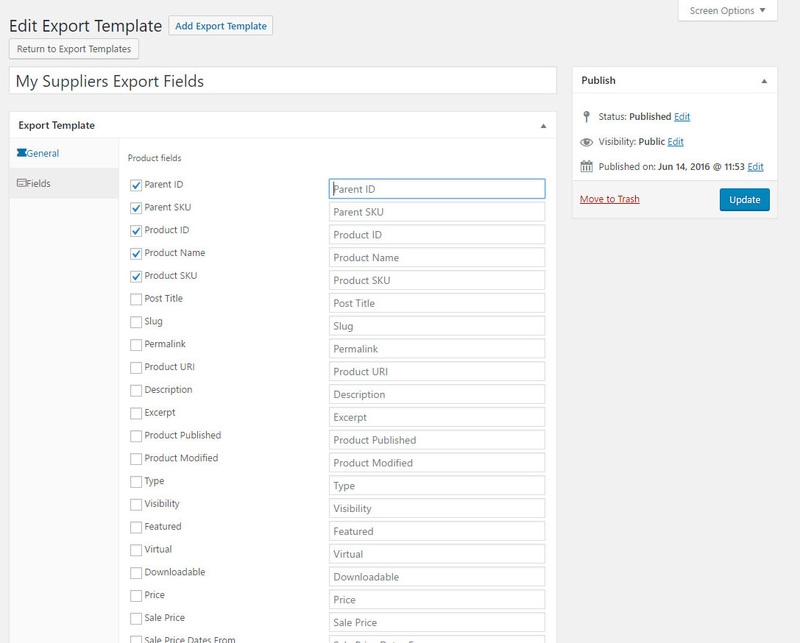 Wich I totally understand, since the custom field is defined in the main product, and not inside the variations. But I wonder if it’s the same with Store Exporter Deluxe? Is there any possibility to get the value on both the main product and the variations? 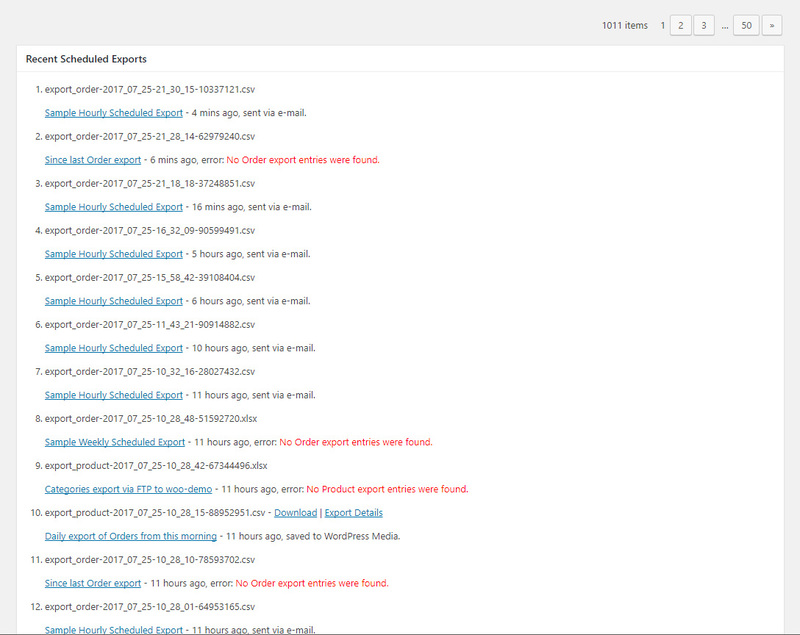 Hi oida, our free exporter needs a real upgrade. 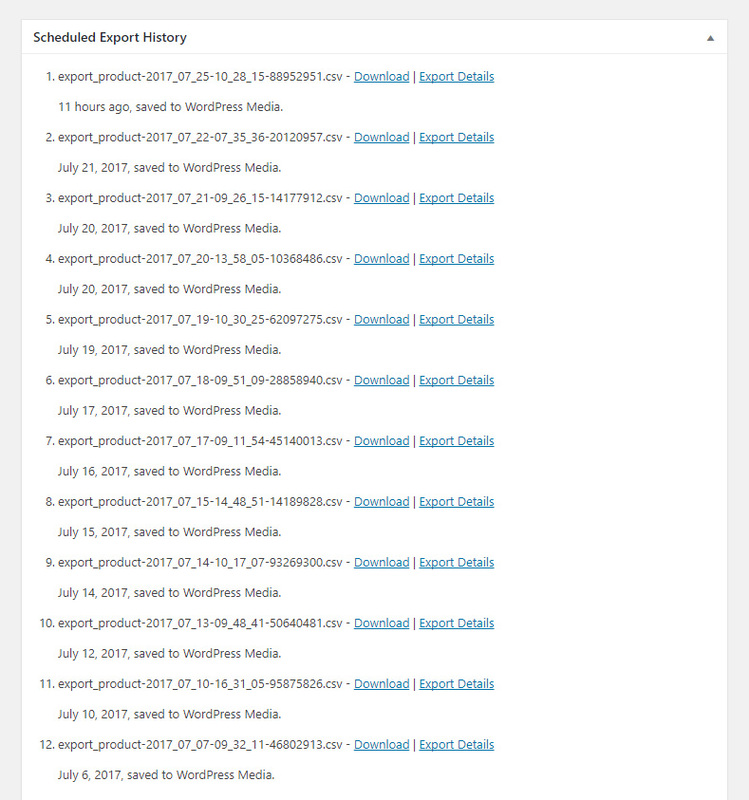 I’ve been meaning to do it since 1.9 of SED went out on Monday but this week has dissapeared with my work on our importer. 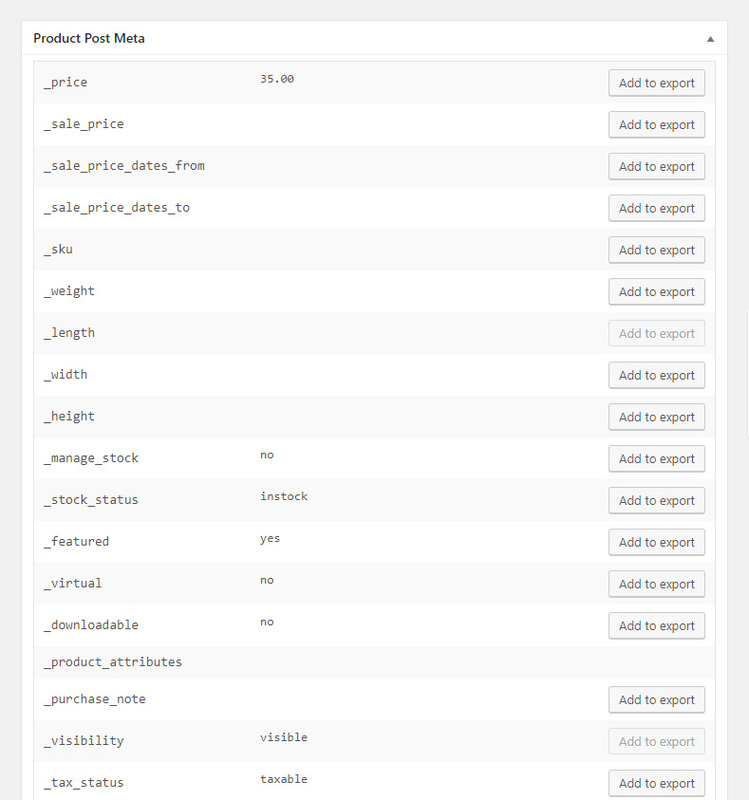 In SED we check both the product and product_variation Post Type’s so yes you’ll see custom Product meta appear in Pro exports, in the free exporter we only include the single ‘product’ Post Type. Thanks for the quick and informative reply. 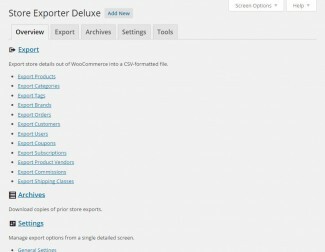 How does the product gallery export work in the deluxe edition? I need to capture the URLs of *ALL* of the images in the gallery. For instance if I have a product with 10 images associated with it, I need all 10 URLs of those images. Will your product do this for me? 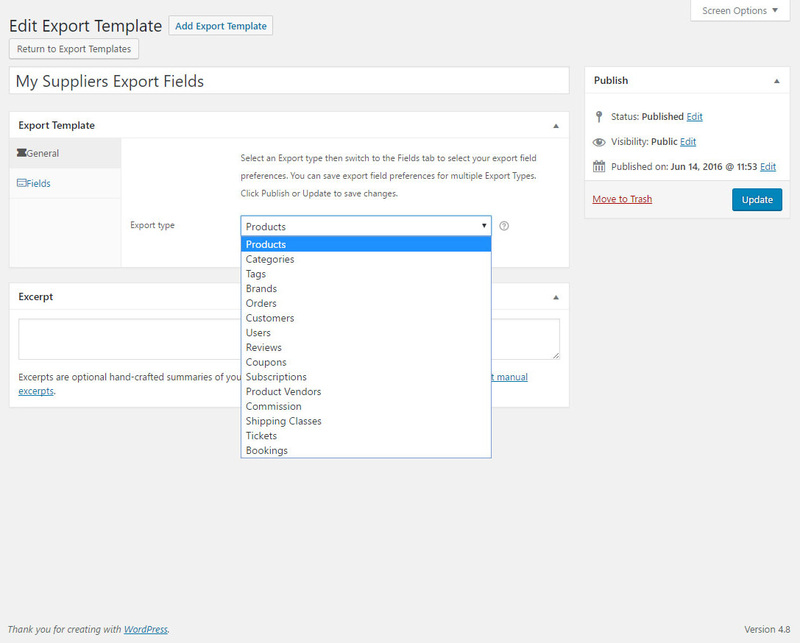 Hi yibas, first set the Product Gallery Formatting option under Export Options for the Products export type to “Export Product Gallery as Image URL”, this will mean you get the URL of images rather than the Post ID. 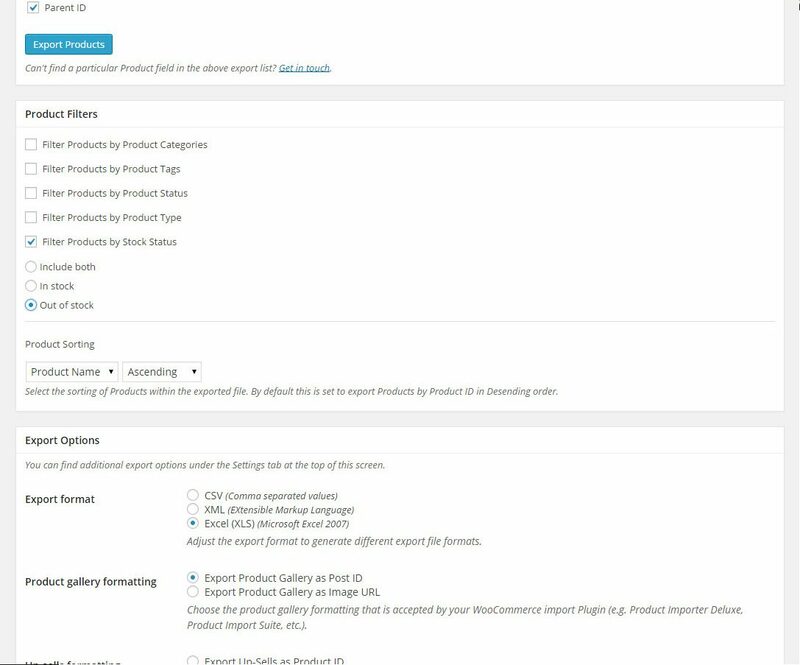 The Featured Image export column will export the Featured Image, while the Product Gallery export field will grab all Media Posts linked via the Product Gallery option on the Edit Product screen. WooCommerce really should add its own buttons for grabbing all transaction activity from a live to a development server. 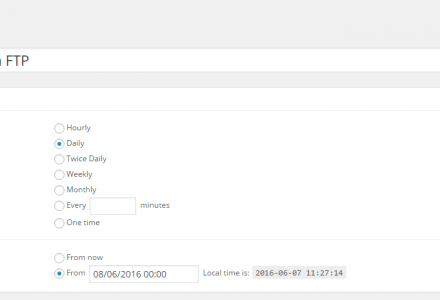 Since WooCommerce is responsible for its own data structures, it’s the logical place for a tool to sync accounting activity in this manner. 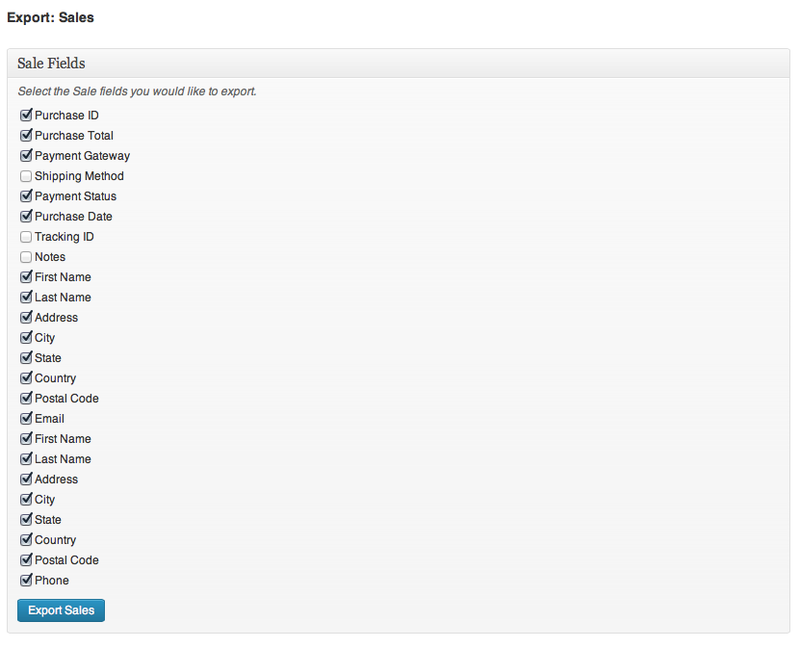 The way this would (should) work, is WooCommerce’s settings page would include a tab for “Data Sync”. 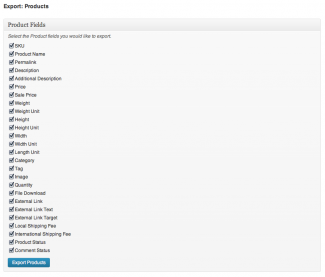 In that tab, users would enter an API token generated by the target WooCommerce site. 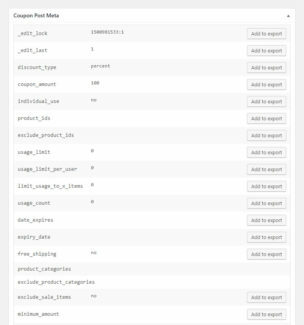 Once entered, WooCommerce would link from the dev or staging site and retrieve any new customers, orders & coupons (and anything else that only WooCommerce knows about), and add that data to the dev or staging site, while allowing MySQL to maintain proper data integrity by updating IDs appropriately. 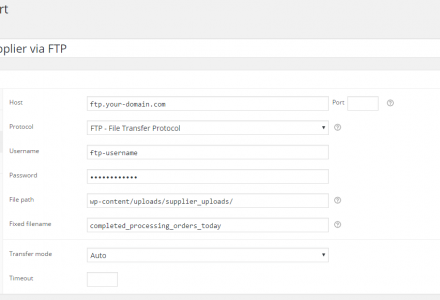 WooCommerce should also include an API & documentation so that developers providing WordPress backup and move tools could choose whether to include WooCommerce syncing as a step in the backup & restore process. Currently I use the bullet-proof UpdraftPlus plugin. 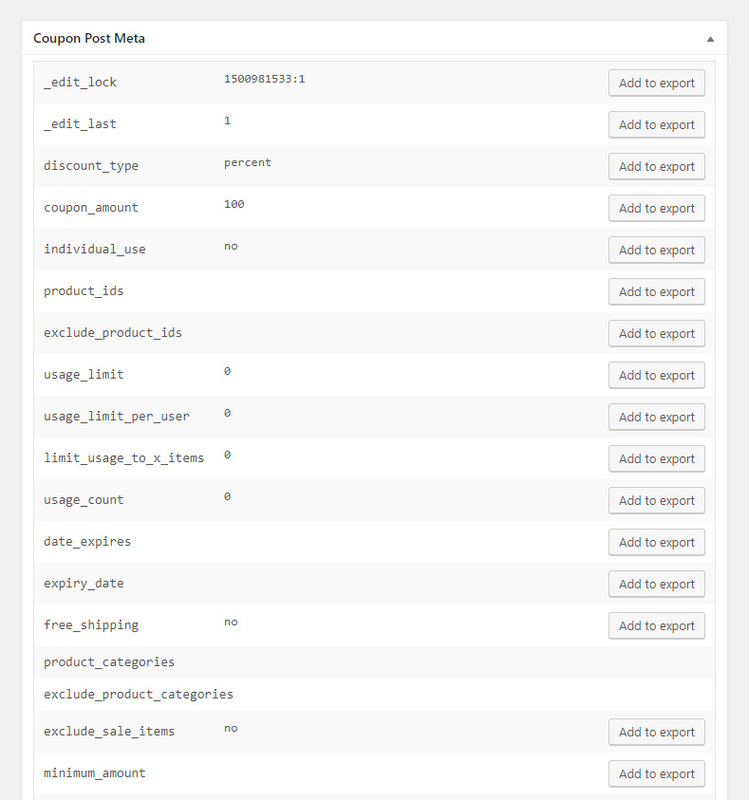 It zips the content into themes.zip, plugins.zip, uploads.zip, database.zip & others.zip. 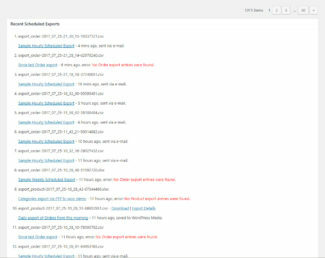 Once I move those 5 files to another site with the UpdraftPlus plugin, the plugin will faithfully unpack & restore those files to completely convert one site to another. It perfectly replaces the URLs & I have rarely ever run into any issues with it. 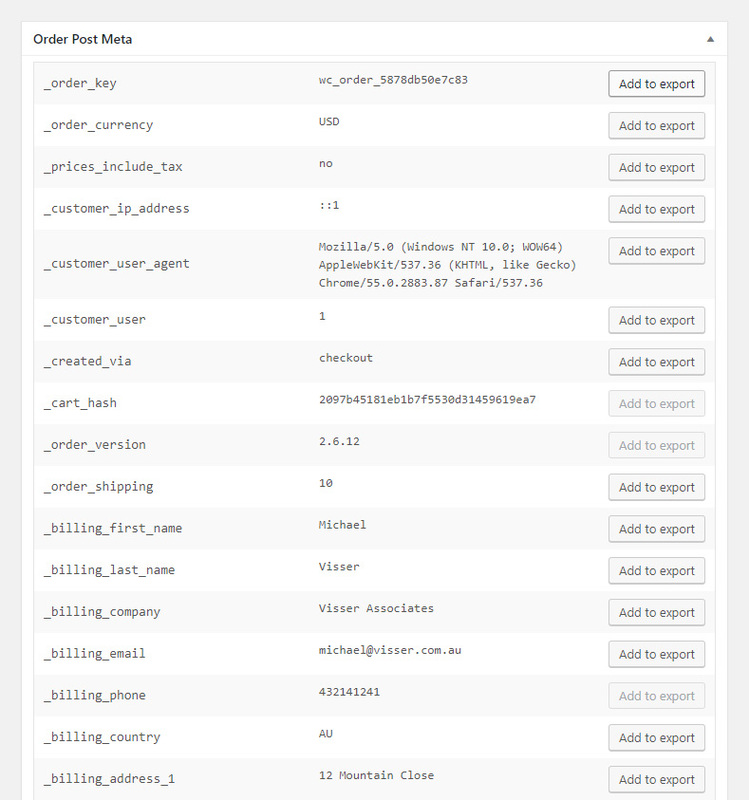 Now, if that dandy tool just had settings to specify the WooCommerce site I intend to restore to, it could walk through the steps of fetching the transactional data from the site to be updated and add it to the staging site data, where it could even be verified before proceeding. With the popularity of WooCommerce and the number of sites depending on it, I worry that their market lead could evaporate to whoever provides this seemingly obvious functionality. 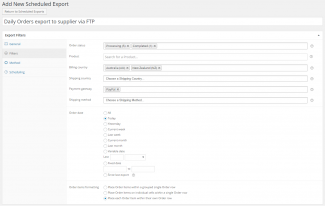 I need to find a way to move a development WooCommerce site to a live site, without overwriting any customer, coupon or order data received on the live site between the pulling a development copy of the site and pushing the updated site live. 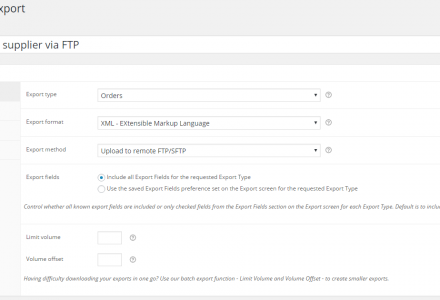 I know that your exporter plugin (Pro) will export the transactional data. The development site is where we will make any changes to the product lineup, so that isn’t an issue. The only issue is how to avoid loosing any new customers or orders that have arrived on the live site during the development period. Do you have a recommended workflow for this? 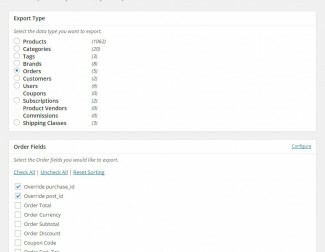 I upgraded wordpress and woocommerce to the most recent versions (woocomm 2.3.5). 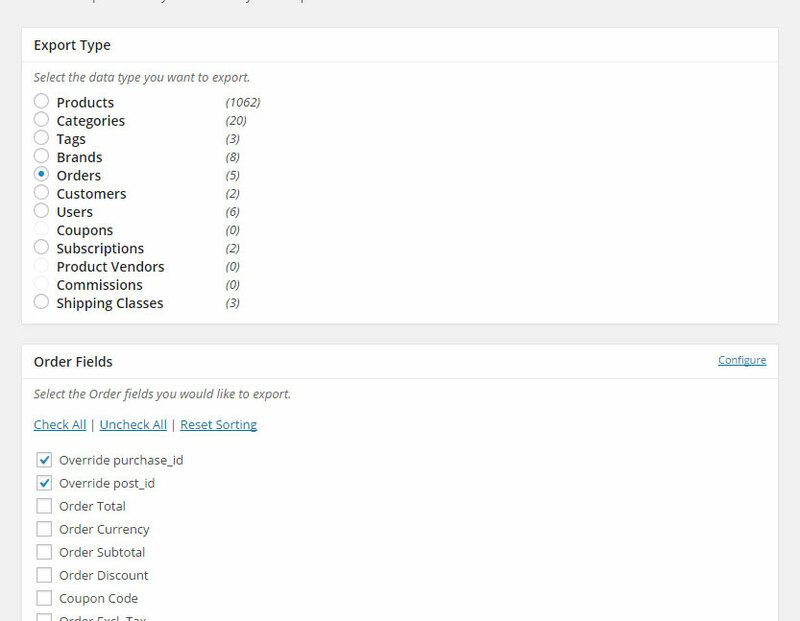 I want to export orders, but it sees 0 orders (even though there are 4 currently in the system). Do you have any suggestions? 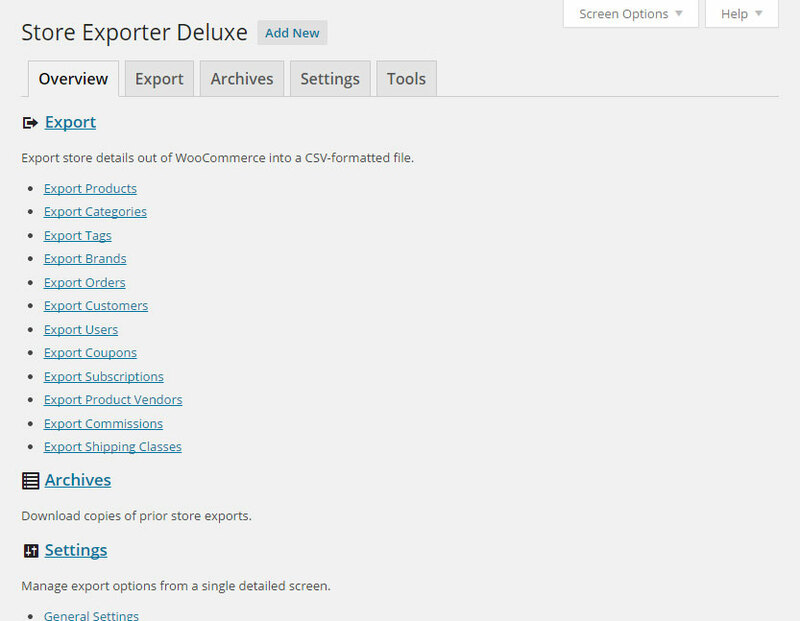 do I need to upgrade the store exporter deluxe (added some custom things in here awhile ago so i didn’t want to upgrade). still on 1.6.5. If upgrading will fix it, that’s what i will do. thank you! I just updated it anyway – that fixed it. thanks! I am interested in your plug in and would like to find out the followings. 2. Can I export the proper state name not in code such as JP13 for TOKYO. I need it to say TOKYO in Japanese but is this possible? 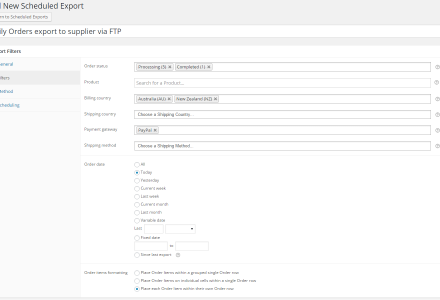 Hi satchie, I didn’t know that there was a Shipping: Phone Checkout field… but yes you can! 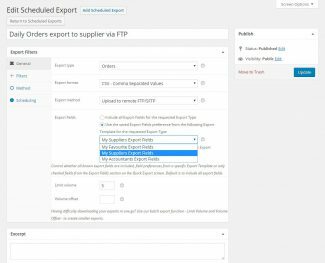 Is there a way to export product sales filtered by date? 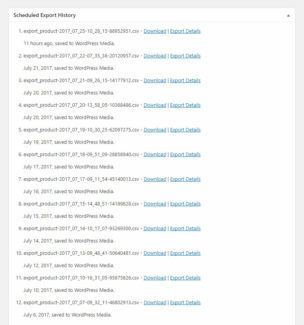 I need to run a “report”/export of sales per item per month with quantity and total $. 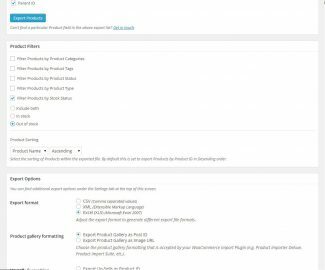 Pre-Sale Question: We are using a plugin TM Extra Product Options so we can include attribute selection when ordering a specific product. 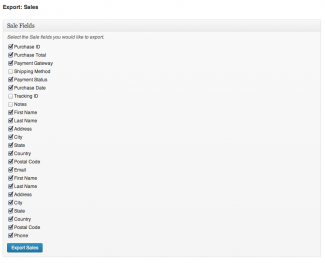 Will your reporting plugin give a report, that if we did weekly by attributes. 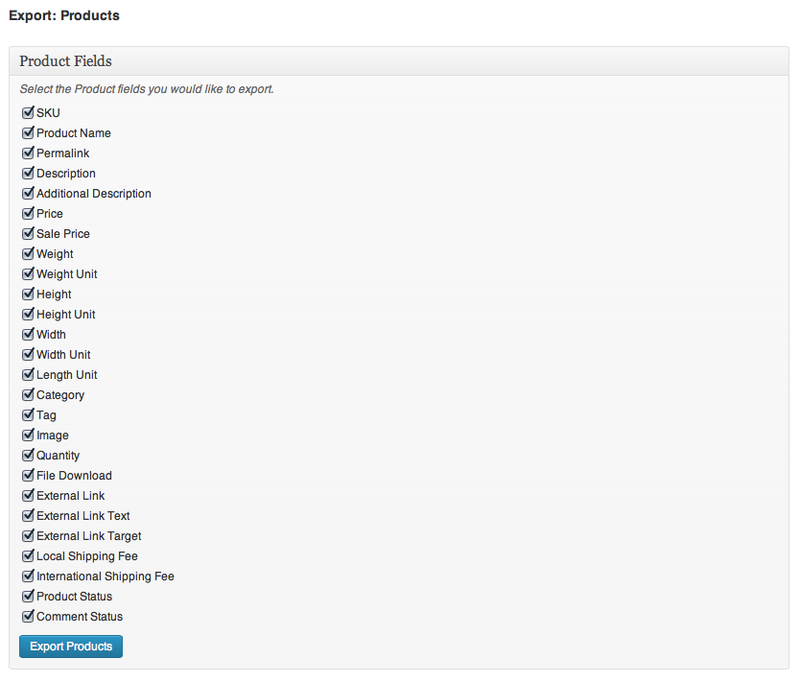 The product has 5 attributes and they can select 3 of the attributes from each section. They will need a report of how many of each attribute were order that week. 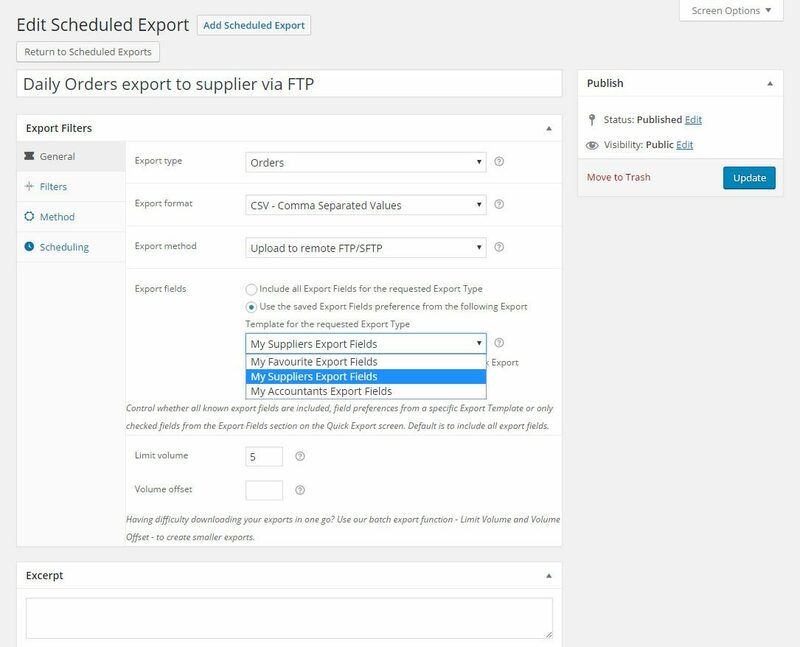 Hi sarova, we support exporting TM Extra Product Options within Order exports but it’s not formatted in collated reports but as each Order and it’s Order Items (including Product selections of which 3 will be filled as you mentioned). 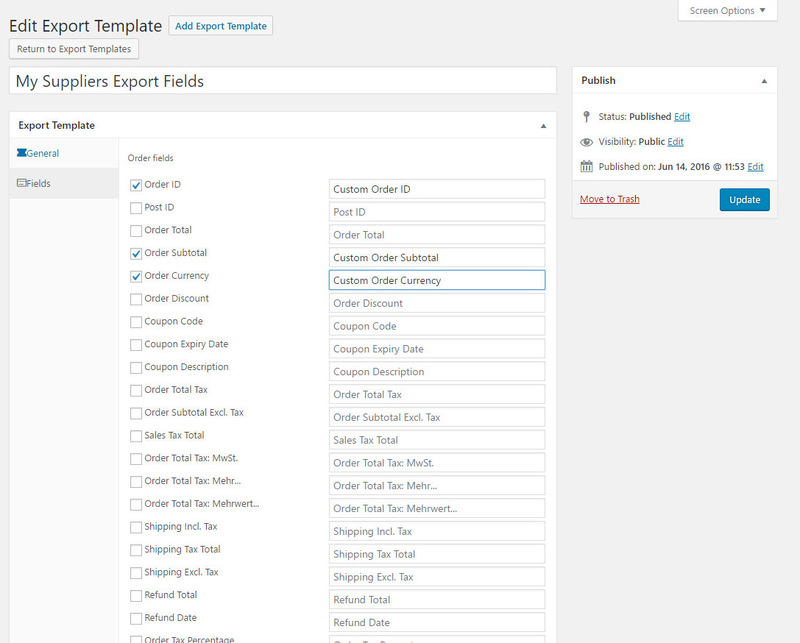 You can filter the Orders by Date to limit it to weekly exports or a fixed date. 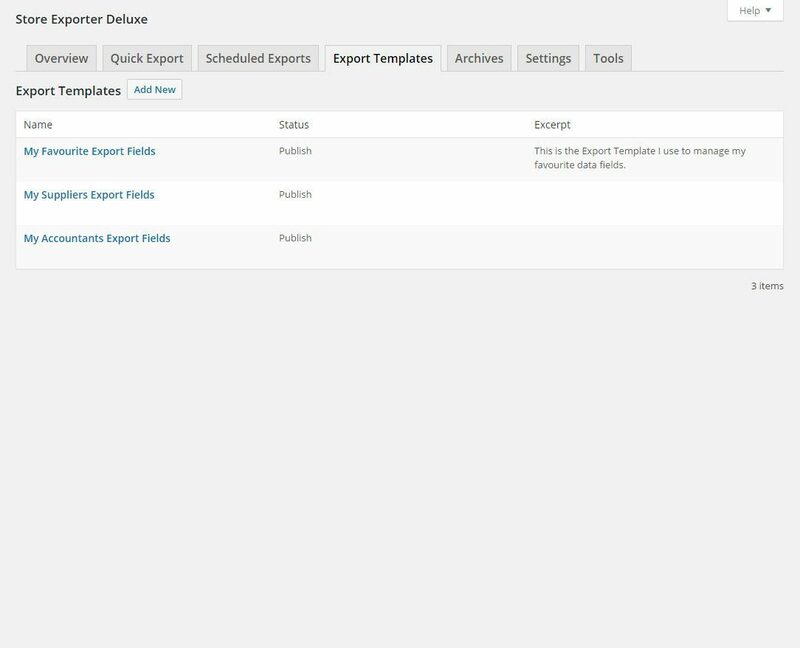 If the SKU’s are included in the export (or an exportable report) in such a way that we can apply a column filter in Excel, I think we can work with that. Is that possible with this plugin? 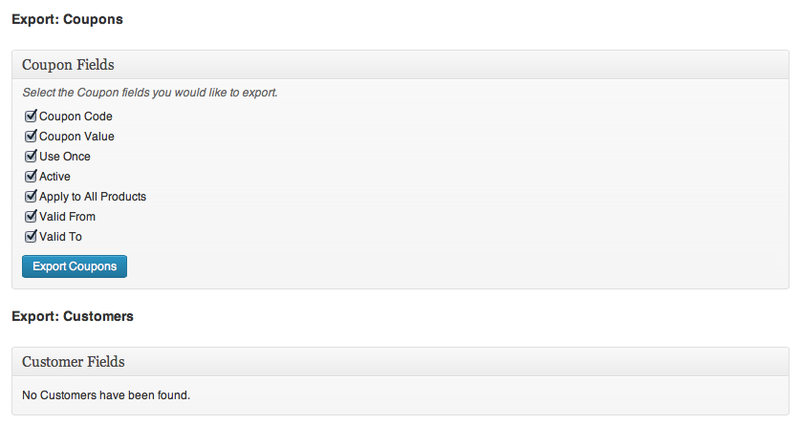 It would be really nice if SKU’s could be an option to base an export on though… maybe in a future version? I’ll talk this over with the people who need the exports for their attendance lists, and if they can work with Excel-filters for the time being, I’ll definitely buy the plugin. Hello. 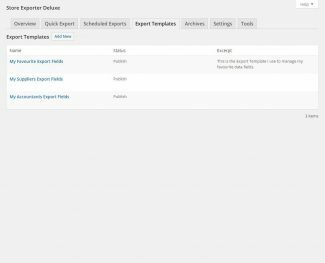 I am looking to buy this for a site, but we need to port it over to another domain. It is relatively the same site, same theme, same plugins and functionality – but different content and users. Because it is going to be a new instance (one set up with .com and one set up with .ca), should I buy 1 license or will I need multiple licenses? Hi, we use the SKU’s of our products as a date picker for classes, and need to know attendance of each class the day before the classes start. 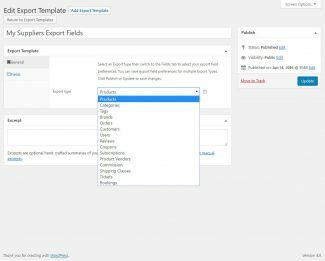 Can we use your plugin to export customer data on a per SKU basis? All we need is the information of the selected SKU, preferably including applied coupon codes, but not the rest of the order’s information (additional classes/products). 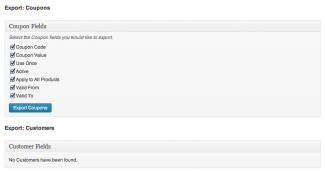 If so, is this a feature that’s included in the ‘light’ version of this plugin so that we can give it a try before we buy? 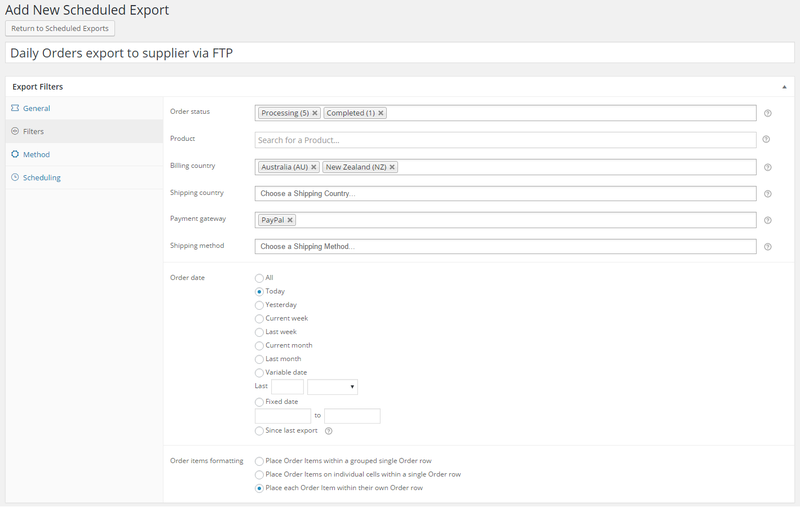 Hi Roland, this is better suited to a report rather than a strict CSV/XLS file format, I’ve done a look through our supported fields but that scenario is not catered for. 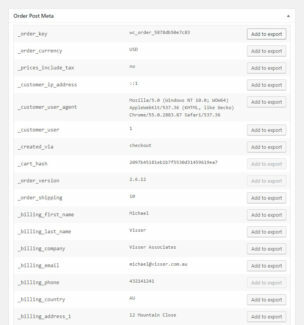 Perhaps you could filters Orders by a Product rather than SKU?